ifttt stands for "if this, then that." It's a free website that lets you create automations, or "recipes," for your digital life. For example, you can use ifttt to follow this command: "If I someone tags me in a photo on Facebook, then save that photo to Dropbox." Another one might be, "If Apple's stock price reaches $500.00 per share, then send me an email notification." It supports a wide array of websites where you likely already have accounts, such as Twitter, Facebook, Instagram, Gmail, Evernote, Blogger, ESPN, LinkedIn, Tumblr, Wordpress, and you can even connect it to your phone number to receive calls or text messages. 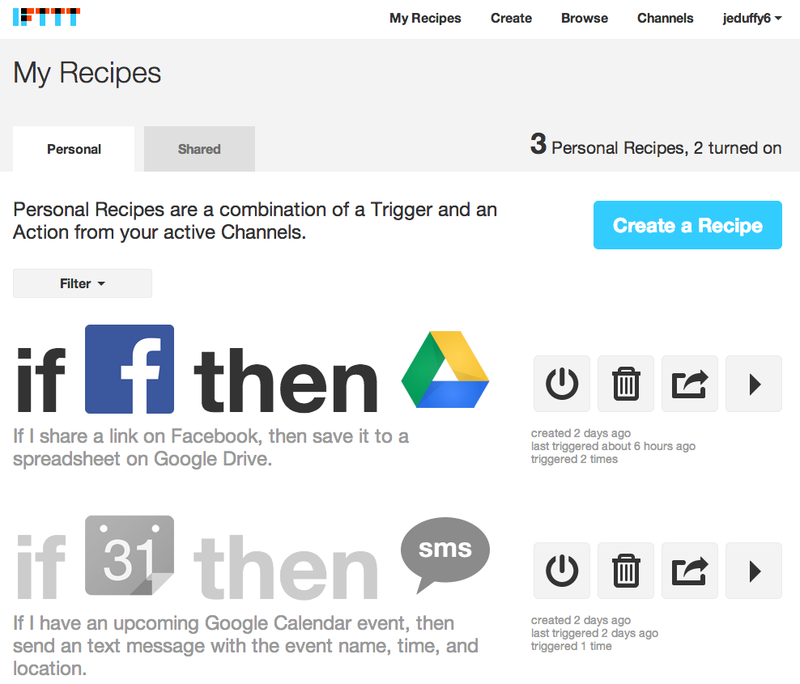 ifttt is free and super simple to use. I just love it.